Supporting these individuals to help them break the cycle of addiction is a vital factor in helping them move away from a life of crime. This is exactly what Steps2Recovery hopes to achieve. They aim to break ex-offenders out of the 'merry-go-round' of short prison sentences, homelessness and using . They help them to become abstinent from drugs and alcohol, break away from drug- and drink-related offending behaviours and ultimately turn their lives around. 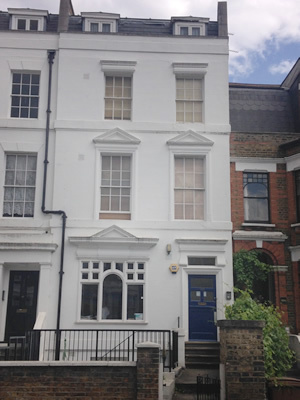 Set up in 2010, Steps2Recovery run a rolling 12 week abstinence-based programme in Stoke Newington. Offering both residential and day treatment (for up to 12 clients at a time), the programme runs 5 days a week, allowing clients the opportunity, within a structured and supportive environment, to learn how to manage their own time and make their own choices. Through regular community meetings, clients are also given the opportunity to feed directly into the development of the programme, which is updated regularly to ensure it stays relevant and tailored to the needs of current clients. During the programme, clients are offered therapeutic support from qualified counsellors, support workers and volunteers in the form of group therapy, one-to-one counselling sessions, mentoring, workshops and alternative therapies, as well as Steps 1-3 of the 12 Step programme. Alongside these therapeutic treatments, clients are also offered practical support, such as pro-bono legal help, help in dealing with Social Services care proceedings, and move-on support at the end of the 12 weeks. The structure of the programme enables clients to recognise their triggers back to addiction and how to avoid them, in order to achieve long-term freedom from drugs, alcohol and crime. Clients are encouraged to build positive relationships with counsellors, mentors and their peers. By attending self-help or mutual help groups, people can also connect with others outside the programme and this gives them the best opportunity for long-term recovery. Additionally, Steps2Recovery also works with their clients to repair family ties and establish positive family relationships. As well as move-on support, Steps2Recovery offers on-going aftercare support for all clients who complete the 12 week programme. Steps2Recovery is able to provide end-to-end support for its clients in part by working with other agencies. One of its main aims is to enable clients to engage positively with these outside agencies who are able to offer support with any practical problems, such as homelessness, unemployment and custody issues. 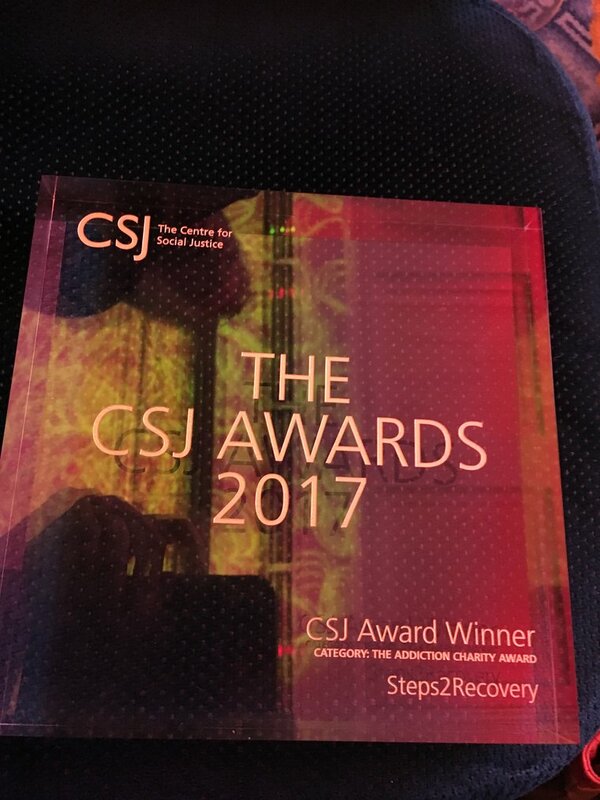 This year, Steps2Recovery was the proud winner of the Centre for Social Justice Addiction Award. The following film was made by Centre for Social Justice to be shown at the awards ceremony. It features a Steps2Recovery graduate client talking about her experiences prior to embarking upon the programme and the impact that Steps2Recovery has had on her life. Currently, most of the individuals who graduate from the programme are moved on to supported housing where they can study or volunteer, but where they are unable to work. As a result, Steps2Recovery is looking to find move-on housing at affordable rents for those clients who feel they are ready to find employment after completing the programme. As we know, employment is one of the most important factors in reducing reoffending, so it is vital that those Steps2Recovery graduates who feel ready to enter the workplace are given the opportunity to do so, to consolidate the changes they have made in their lives and allow them to fulfil their potential, free from drugs and alcohol.